Taimer core functionalities are based on managing all your relationships, with B2B and B2C customers and contacts. 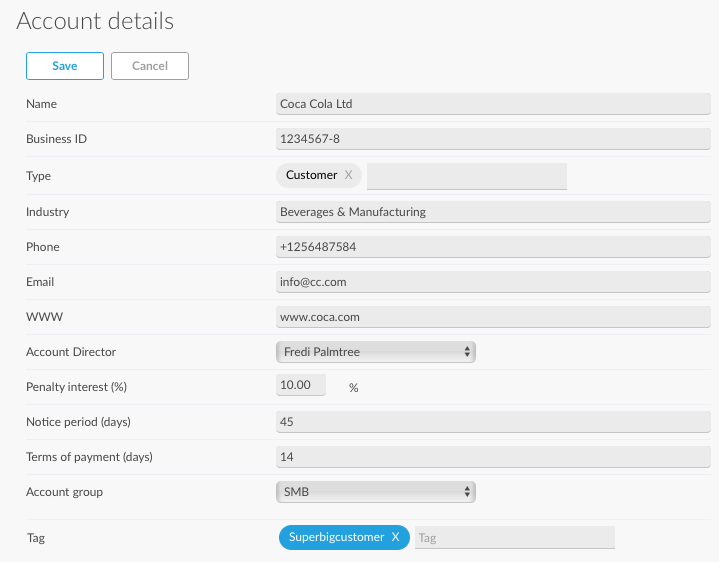 Invoicing addresses: Add invoicing address(es) of the customer. For adding e-invoicing details click the arrow pointing right.